The Normalization Committee set up by FIFA to restore normalcy to Ghana Football in the wake of the Anas corruption investigation have distanced themselves from reports that an agreement has been reached with Premier and Division One clubs for football to return in January. According to the reports the Committee has reached an agreement with Premier and Division One clubs to engage in a stop gap competition between January and June as they wait for regular league activity to be sorted out. 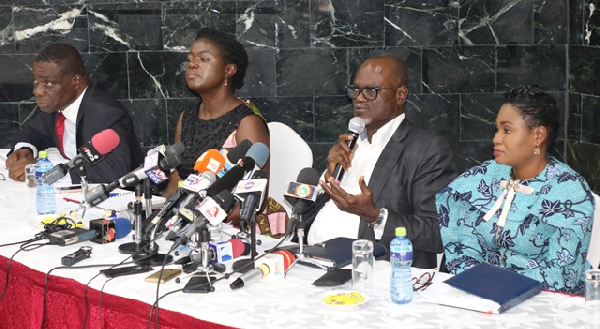 However, when Citi Sports caught up with the Normalization Committee to seek clarification on the issues at hand,it emerged that the reports making rounds are inaccurate and a distortion of the discussions between the various stakeholders. “The release making rounds is not coming from the Normalization Committee but what happened is that we put together a special competition which was supposed to comprise Premier and Division one clubs to make up 64 teams. After drawing the modalities we met the Chief Executives of the various clubs and they also gave us their take on the matter where they suggested separate competitions for the various Divisions. Dr Kofi Amoah asked them to put their proposals on paper for submission,they did so and submitted the proposals last week. However there has been no official response as to approval or disapproval from the Normalization Committee yet so I do not know the source that says an agreement has been reached,”Spokesperson for the Committee Dan Kweku Yeboah told Citi Sports.